to the overall health benefits of the Mediterranean Diet. There are a lot of different kinds of nuts out there on the market, with many of them shown to be heart healthy and good for you in many other different ways. There also happen to be a lot of different preparations of these nuts on the store shelves (i.e. roasted, honey-roasted, blanched, chocolate covered, etc. 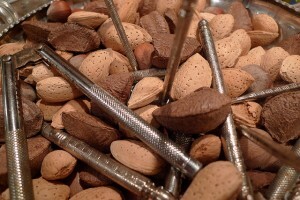 ), but do we really know if nuts in any preparation other than raw provide the same health benefits? For example, they say almonds are really good for you, so does that mean that roasted almonds are also good for you? 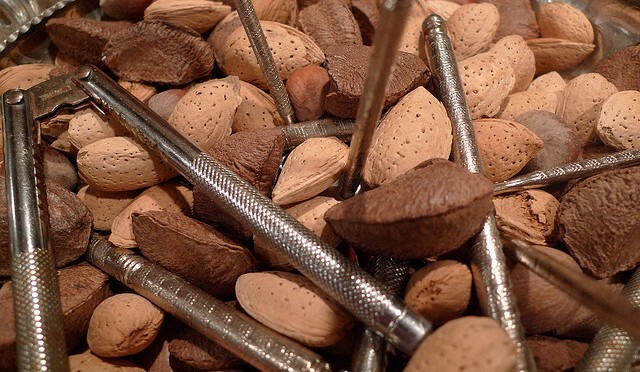 Or does the roasting process somehow change the almond in such a way that the health benefits are no longer there? A new study published in the journal Food Chemistry aimed to address this very question, and sought to determine how and if the health benefits of nuts changed under different roasting conditions. The nuts evaluated in this study were: hazelnuts, almonds, macadamia nuts, pistachios, and walnuts. Compounds known to be associated with health benefits as well as compounds known to be potentially harmful were measured and analyzed before and after roasting of each type of nut under different roasting times and different roasting temperatures. Fatty acid composition of all nuts studied was not affected by roasting. Malondialdehyde levels increased with higher roasting temperatures, with levels in walnuts increasing 17 times over. Tocopherol isomer (Vitamin E) levels decreased after roasting. 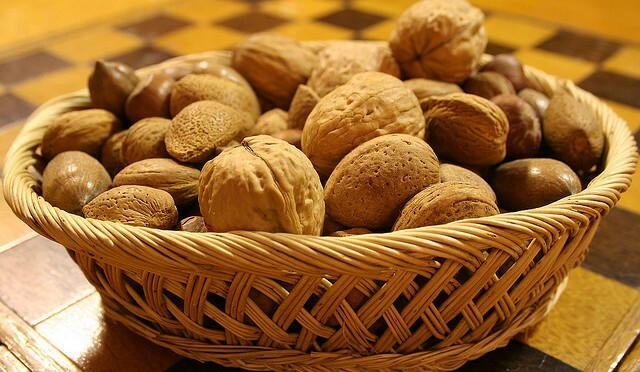 Hydrophilic antioxidant capacity significantly decreased in hazelnuts, macadamia nuts, and walnuts after roasting. Acrylamide (a known carcinogen) levels increased in almonds after roasting though did not significantly exceed recommended levels. At the highest roasting temperature (180oF), acrylamide levels in almonds reached up to 941μg/kg, while the recommended maximum levels recorded are 1000μg/kg. 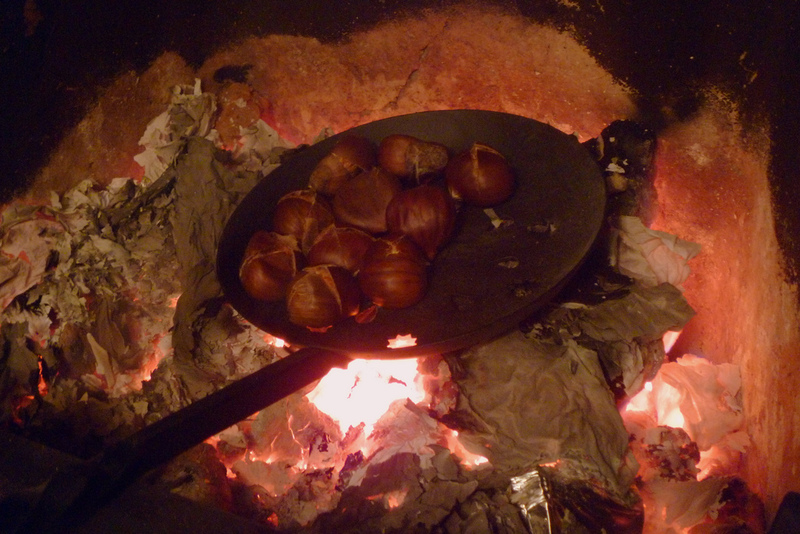 Nuts roasted between 120oF and 160oF showed the most favorable sensory characteristics. 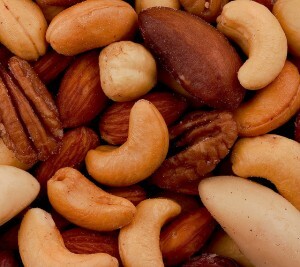 per se, it’s just that when compared to raw nuts, the health benefits are decreased. 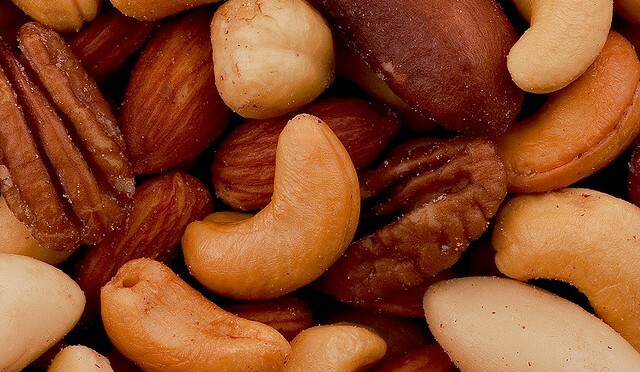 Fatty acid composition in nuts did not seem to change with roasting, resulting in the maintained potential health benefits of these fats regardless of roasting or not. In almonds, roasting at the highest temperature (180oF in this case) resulted in increased levels of acrylamide, a known carcinogen. While concentrations of this compound did not exceed recommended levels, the values did get pretty close. 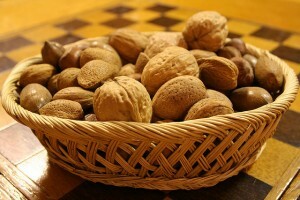 While eating them raw would be the best way to obtain the health benefits, roasting nuts at a lower temperature (between 120oF and 160oF) provided the best taste and flavor in the nuts in this study, and would be the recommended temperature to optimize flavor, minimal loss of health benefits, and minimization of potential carcinogenic compounds. Schlörmann, W., Birringer, M., Böhm, V., Löber, K., Jahreis, G., Lorkowski, S., Müller, A.K., Schöne, F., and Glei, M. 2015. Influence of roasting conditions on health-related compounds in different nuts. 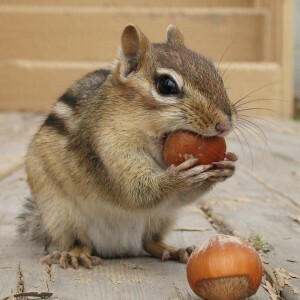 Food Chemistry 180: 77-85.
research pertaining to nut consumption and adherence to these health diets. A new study in the journal Nutrients utilized the National Health and Nutrition Examination Survey between the dates of 2005 through 2010 to determine if there is any association between tree nut consumption, diet quality, and nutrient adequacy in American adults at least 19 years old or older. The percent of people falling under the “Estimated Average Requirement” or above the “Adequate Intake” for various nutrients was determined. Diet quality was assessed using the Healthy Eating Index – 2005 (HEI-2005).